My daughter started talking really early and now talks in sentences. She knows her numbers, colors, letters and shapes. She can even tell the difference between a hexagon and octagon. I think it is time I start introducing her to sounds of letters, reading and spelling. She loves using flash cards so I decided to create some that were simple for her to start the process. 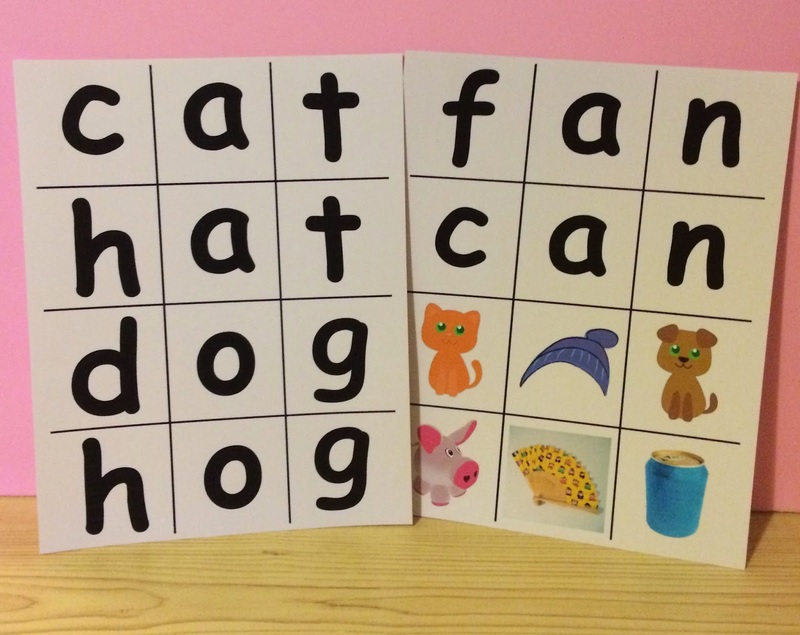 I started out with some super simple words: cat, hat, dog, hog, can, fan. 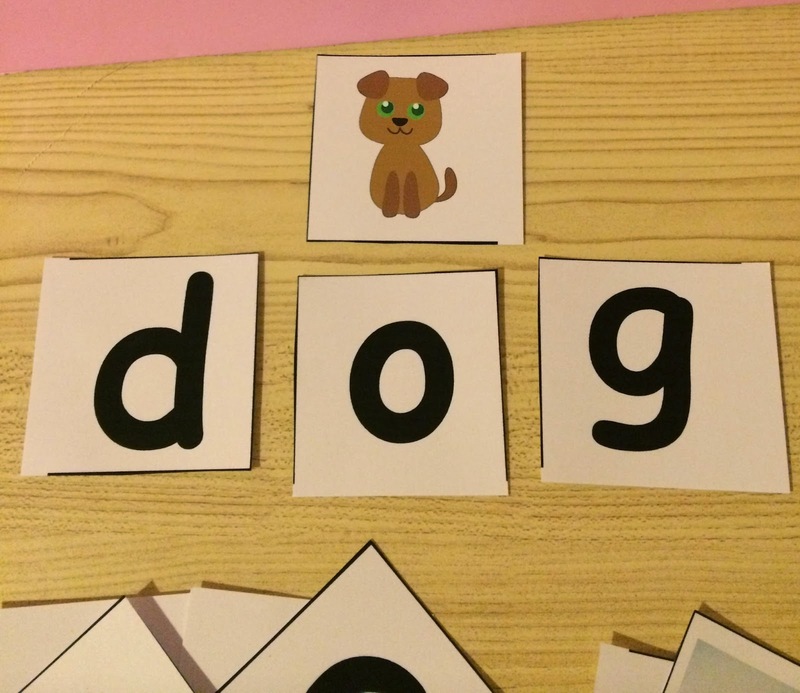 I made a flash card for each letter and a picture flash card for each word. I printed them out onto card stock and cut them all out. Then I placed them all on the couch and started showing her each letter. She knew all of the letters so I started teaching her what each letter sounds like. I started with the c and told her c is for "ka" like cat and showed her the c and then the cat. I continued for each letter making sure to keep showing her the cat so she would understand that those three letters meant cat. I continued for the rest of the words and made it fun her by being silly and making her laugh. I let her tell me when she was done for the day and by the end of our little learning session she remembered that the word cat begins with a c.
How did you start teaching your kids how to read and spell? That is a great tool for the little ones. I always used flashcards when my boys were babies. 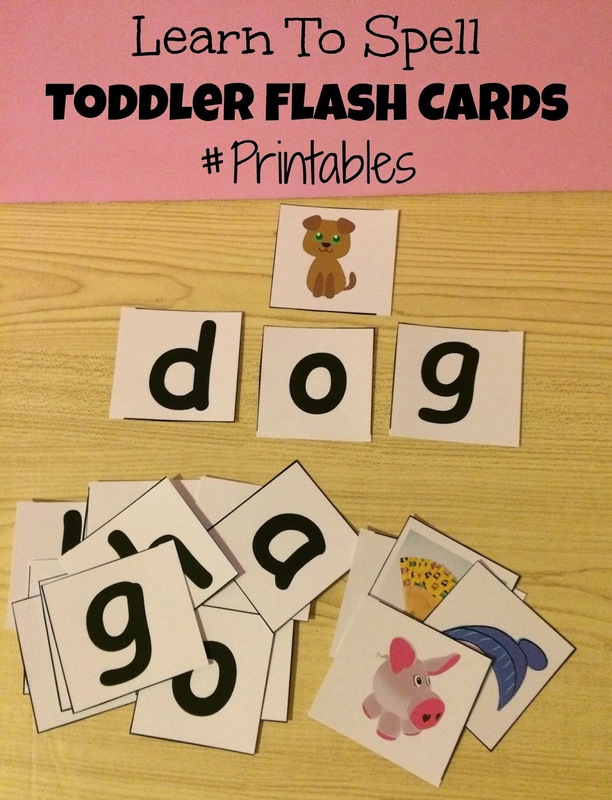 These are wonderful flash cards! Its never too early to start! I started with flash cards at 1 with my oldest and he started sight reading at 3. So keep this up Michelle! These are really cute. I bet this would be a great way to help my daughter WANT to learn. Great idea! I loved flash cards as a kid. Totally need to do these for my lil' lady bean! Thank you so much! My son is two and would love this.